Images from travels to Southeast Arizona, primarily to the mountain canyons during monsoon summer days. 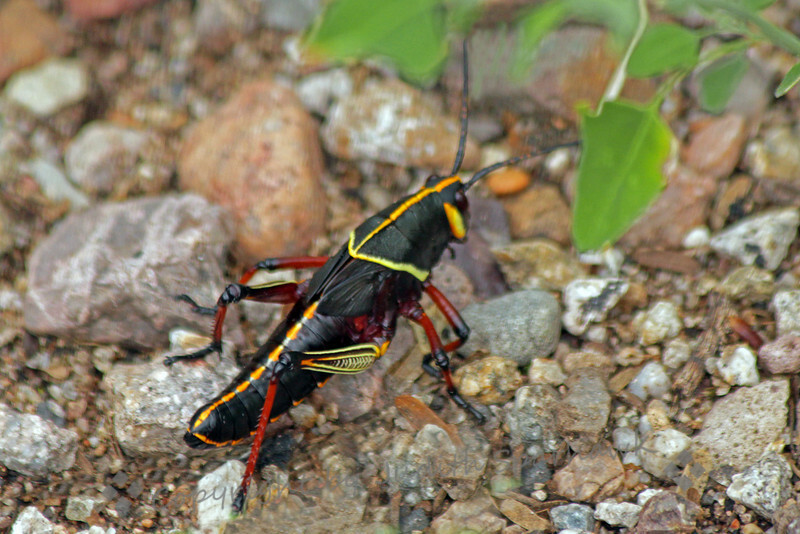 ~ I was amazed to see the first of these large grasshoppers. This is, I believe, an immature one. Although it is large, the wings are small and not yet well-developed, so it was just crawling rather than hopping. The colors were beautiful, with its black and yellow and red.